I kid, I am not actually intending to write a whole post about my meal of beans and sausages. 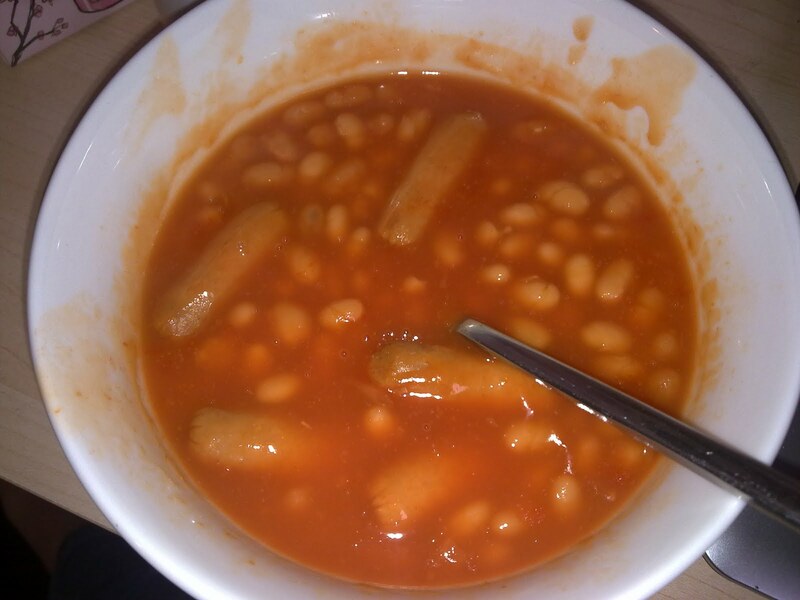 I will merely give you an excuse (I've just got back to my house from visiting my parents for 10 days, no food in, can't be bothered going to the shops) and an apology - Foodie Friday will, all being well, be back next week. In other news, on my return, I had received a parcel in my absence, which I had entirely forgotten about ordering around three weeks ago now. Browsing on the website, I saw the 'Vampira' nail polish and couldn't resist - with a name like that, I had to have it! 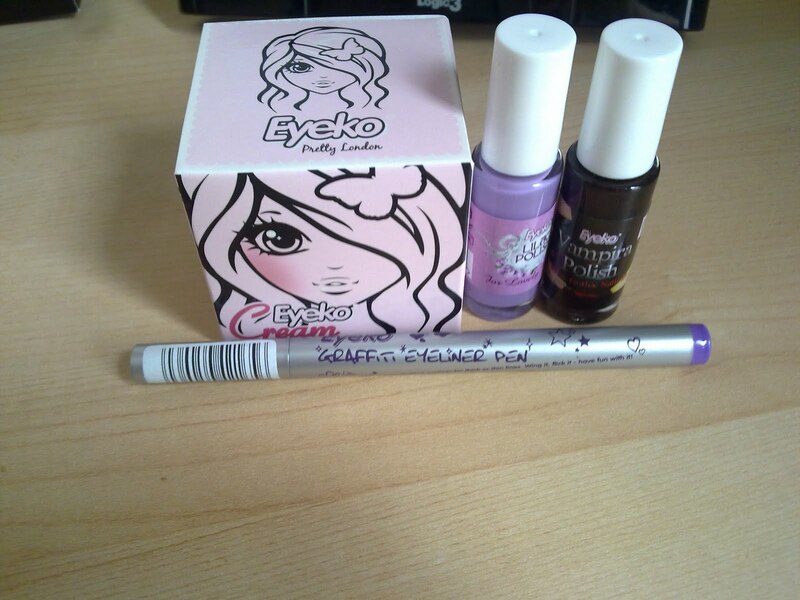 I also popped the Eyeko Cream in my basket, and decided I quite liked the look of the Graffiti Eyeliner Pens, although I managed to restrain myself to buying just one, in purple. I also used an Ambassador code and received a free nail polish with my order - Lilac. 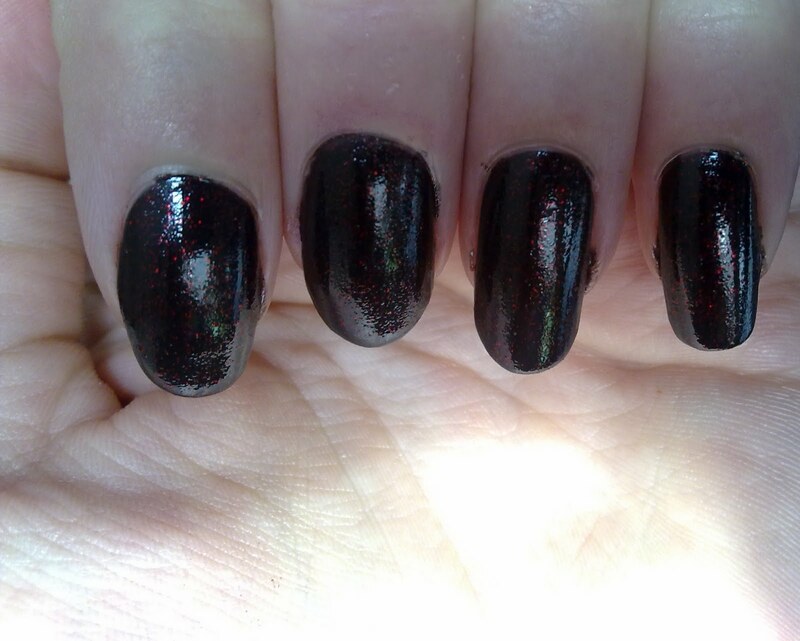 Since I didn't have much cooking to do tonight, I decided to try out my new 'Vampira' nail polish. On the first coat, I was unsure. 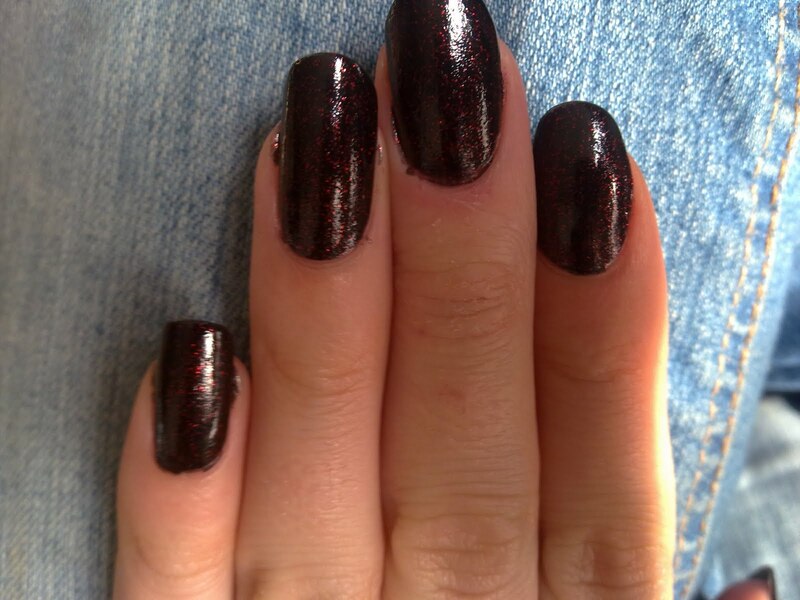 For a black nail colour, it was very sheer, although the red glitter was gorgeous. 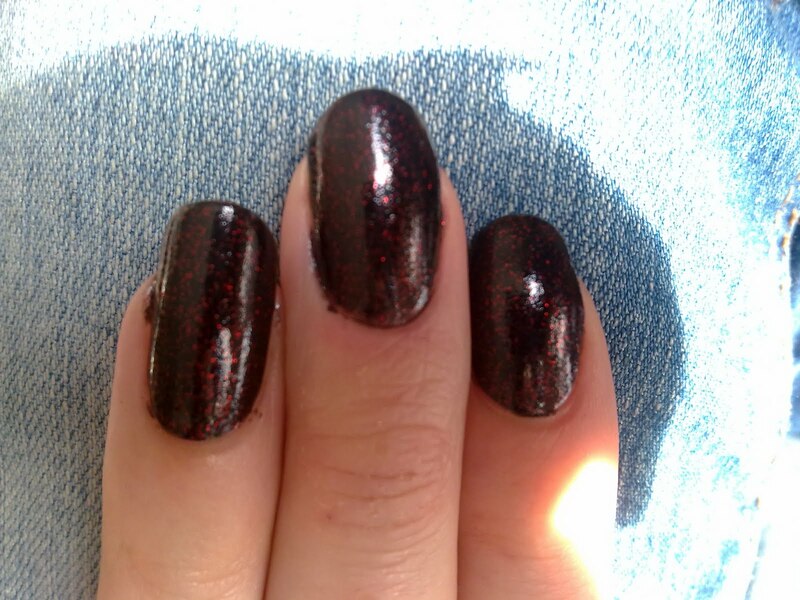 The second coat, however, convinced me - I love it! The pictures below give you an idea of the colour (click to enlarge them) but it's very difficult to get a good shot of it where you can see the true colour and the glitter - suffice it to say it's beautiful! Have any of you guys bought from Eyeko before? What do you think? Model's Own 50% Off Sale!